Petersen first rose to prominence in the 1950s playing Jeff Stone on The Donna Reed Show, and transitioned to a singing career in the 1960s. In the early 1980s, he had a recurring role as a police officer on Matt Houston, and in the late 1990s, he played the author Paul Conway in the film, Mommy's Day. 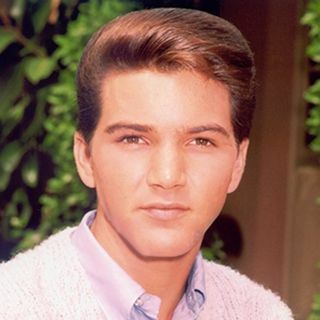 In 1990, Petersen established the organization A Minor Consideration to support child ... See More stars and other child laborers through legislation, family education, and personal intervention and counseling for those in crisis.Petersen began his show business career at the age of ten as a Mouseketeer on the Mickey Mouse Club. He appeared in the 1958 movie Houseboat with Sophia Loren and Cary Grant, but achieved stardom playing teenager Jeff Stone from 1958 to 1966 on the ABC family television sitcom The Donna Reed Show. Throughout eight seasons and decades of reruns in syndication, The Donna Reed Show became part of American popular culture and, in 1997, Petersen was honored by the Young Artist Foundation with its Former Child Star "Lifetime Achievement" Award for his role on the series. After The Donna Reed Show ended, Peterson had a small role as Tony Biddle in the 1967 musical film The Happiest Millionaire. He also appeared in many guest roles, including one as a military officer in the short-lived 1967 ABC western series Custer, with Wayne Maunder in the title role. He also made a guest appearance on F Troop as "Johnny Eagle Eye" that aired on April 12, 1966.With the fame he achieved on The Donna Reed Show, Petersen received recording offers and had hit record singles with the songs "She Can't Find Her Keys" (also introduced on The Donna Reed Show), "Amy," and "Lollipops and Roses." In 1962, the sentimental teen pop song, "My Dad", was performed on The Donna Reed Show with Petersen singing the tune to his on-screen father, actor Carl Betz. Released as a single in the same year, it reached No. 6 on the Billboard Hot 100 chart. He also recorded for Motown/Tamla throughout the 1960s releasing such singles as "Chained" and "A Little Bit For Sandy".In 1990, following the suicide of former child star Rusty Hamer, Petersen founded a child-actor support group, "A Minor Consideration", to improve working conditions for child actors and to assist in the transition between working as a child actor and adult life, whether in acting or in other professions.Petersen has been married three times. His first marriage was to actress Brenda Benet. They married in 1967 and divorced in 1970. In 1974, he married Hallie Litman with whom he had two children. They divorced in 1988. In December 1992, Petersen married Rana Jo Platz to whom he is still married. In addition to his two children from his second marriage, Petersen also has a daughter from a previous relationship.